It is the mission of the Bodhisattva to remain focused on the goal of Enlightenment despite turbulent waters all around. The touchstone of Buddha Nature is always there, and koi inspire us in their ability to stay focused and succeed with grace and style. Koi fish Tattoo embody a quiet beauty and mystery that’s both peaceful and intriguing. 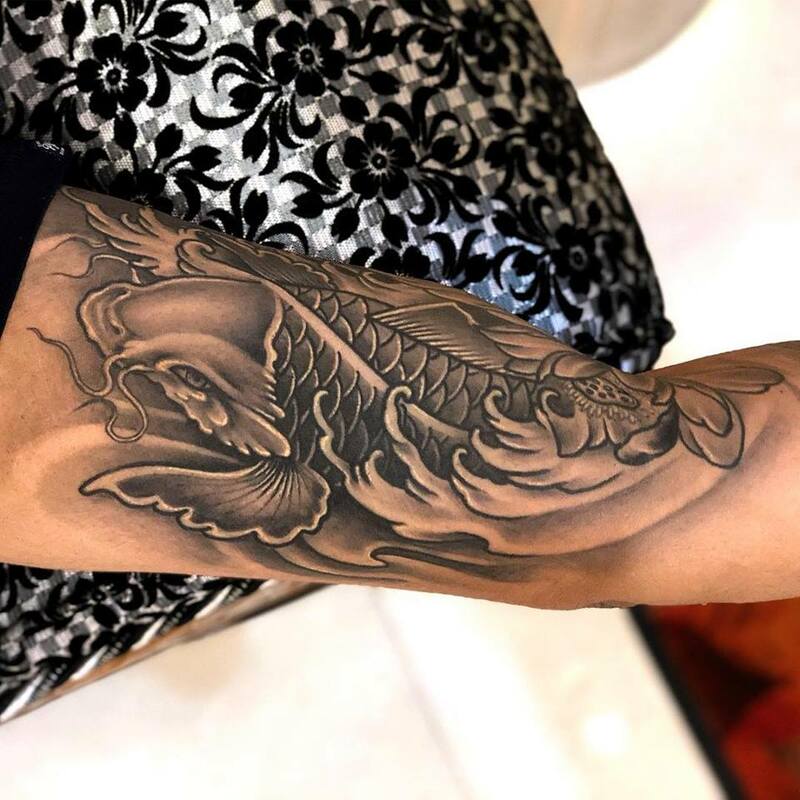 Let the koi fish Tattoo by Mukesh Waghela serve as inspiration for cultivating their many positive qualities in yourself. Previous Post Universal Eye Tattoo Done By Mukesh Waghela At Moksha Tattoo Studio Goa India.